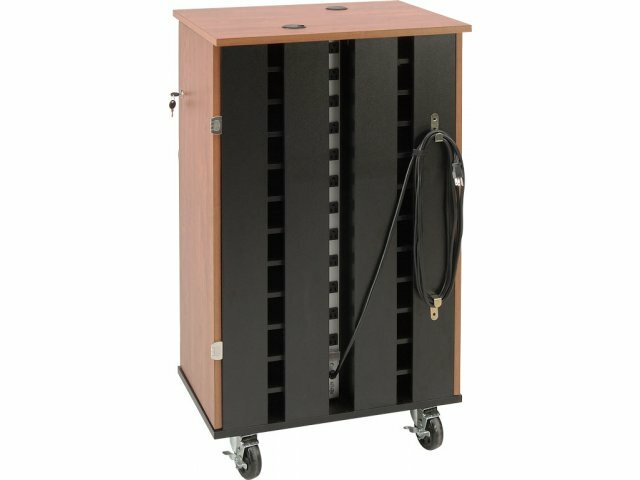 Now that tablets are a part of the modern school, it is important to purchase a tablet cart that can charge and store them properly. The Tablet Netbook Cart keeps tablets secure as they power-up their batteries. Two locking storage compartments provide easy access from both sides, minimizing crowding when people go to retrieve their devices. 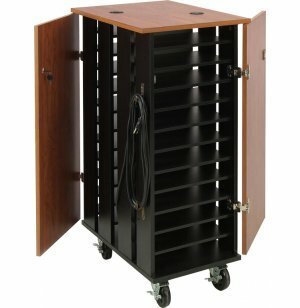 24 individual compartments in this netbook cart make it easy to keep netbooks, tablets, e-readers and iPads organized. Each shelf has enough space to hold both a device and its power source. Individual devices can be plugged in to the recessed power panel so they can charge even while they are securely locked in storage. This convenient setup ensures that tablets, netbooks and e-readers are charged up and ready to use when you need them. 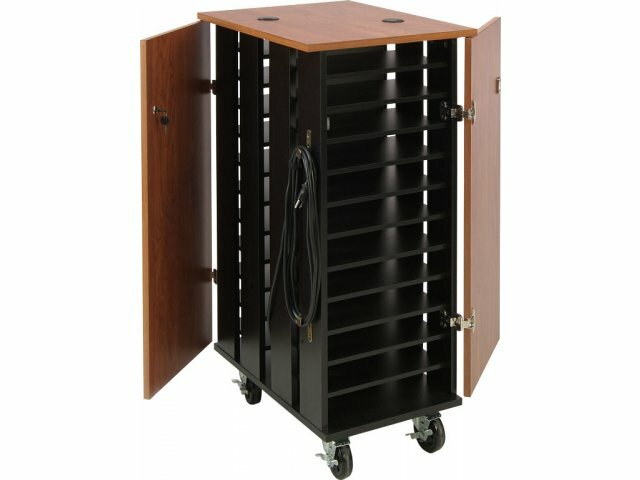 Individual Compartments: These carts have 24 separate compartments, each of which can hold a netbook, tablet, iPad or e-reader, and an AC adapter. Air Flow: Slotted panels provide ventilation, preventing devices from overheating. Secure Access: Two individually-locking doors provide access from both sides. Easy Hookup: Devices can be individually plugged into the recessed power panels. The recessed design prevents plugs from being knocked out. Safe Design: Excess length of 15' power cords (2) wrap around built-in cord wraps to keep wiring off the floor and prevent tripping.